Natural leather in a natural dye green turquoise color. This is 1.5mm round cord, natural cow leather. 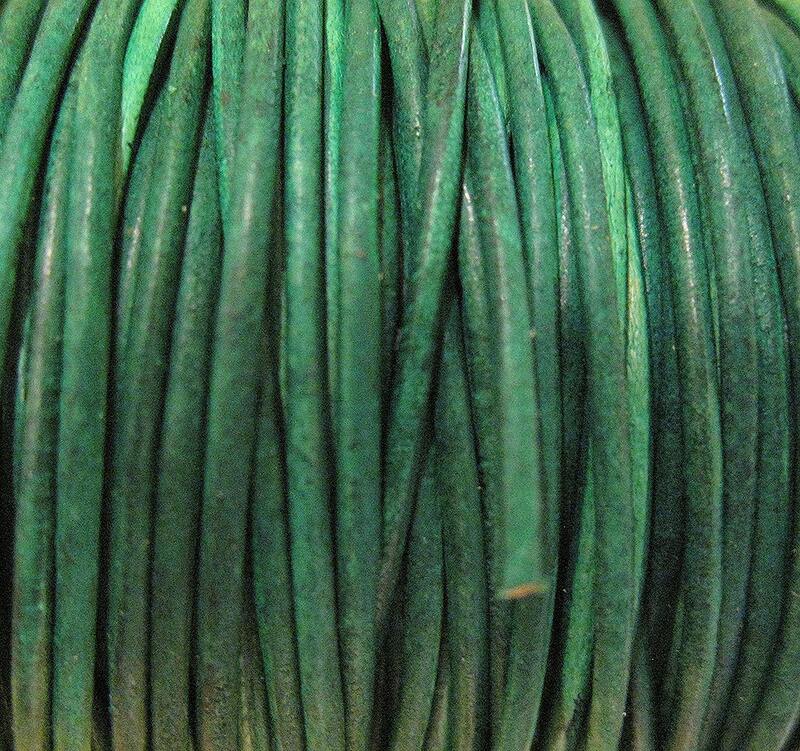 You will receive 2 yards of natural dye green turquoise color round leather cord.